This post outlines popular and useful Facebook groups for GPs and primary care. 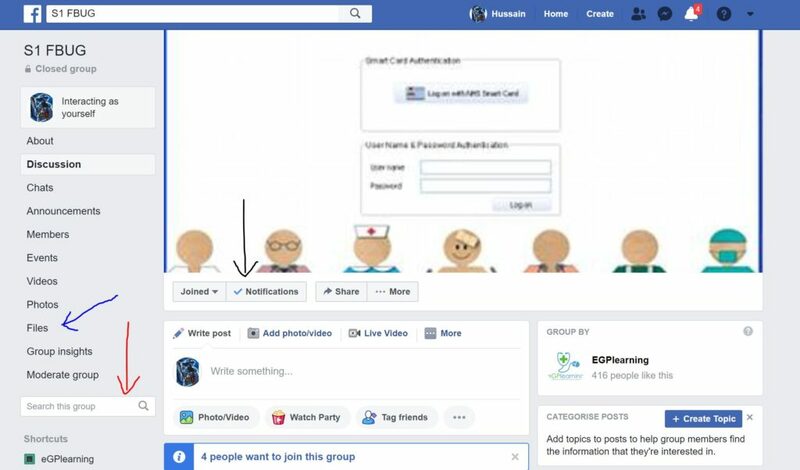 I often get asked about the variety of groups that exist in Facebook to support GPs and primary care staff. This post covers the more common and popular ones. As a disclaimer- I have not joined every group that exisits so can only comment on those I know. 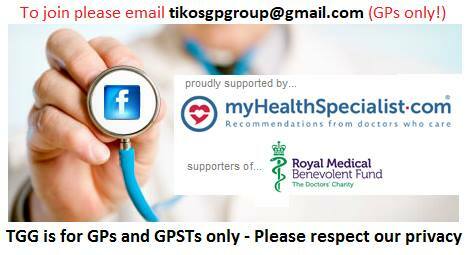 To watch the video of the best Facebook groups for GPs and primary care click the image below. 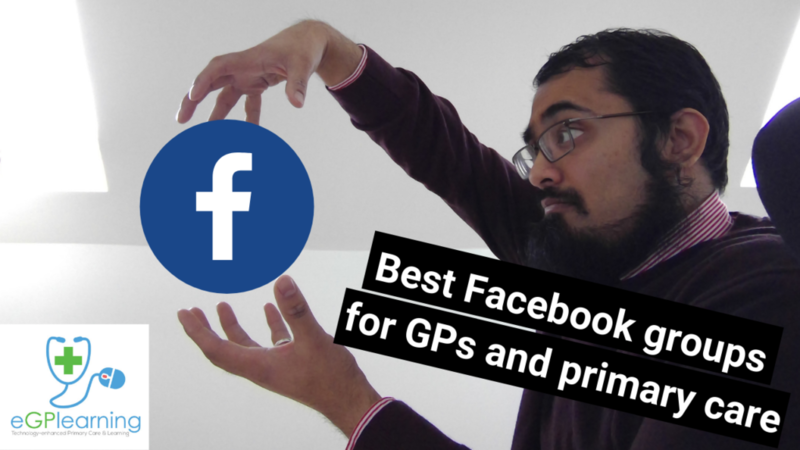 Best Facebook groups for GPs and primary care. It is important to remember that for safety reasons many of these groups are ‘closed’. This means you will have to apply to join and then be approved by an administrator. The majority of these groups will often have questions for you to answer before the administrator will let you in, so if you do apply, make sure you answer or it is unlikely that you will be allowed entry. Also read to the end for tips on how to get more out of a group. First up is my own eGPlearning group. I created this group to support GPs and those working in general practice to support technology-enhanced primary care and learning. Many of the resources and tools you find on this site are shared, discovered and discussed in this group, so do consider joining. GP Survival is a campaign Facebook group designed to support grassroots GPs and the largest UK GP only group at over 7000 GPs. It has a particular focus against media spin; and supporting GPs with tackling regional and national issues. Notable work includes tackling Capita and locum agencies that have not paid GPs, and working with organisation like the RCGP and BMA to campaign on a variety of political issues. It is NOT a union or for clinical case discussion. The group is closed and only allows admission to UK practicing GPs. DOI: I am an admin of this group. 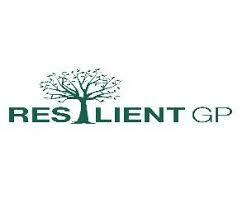 Resilient GP is a large group (over 12000 members) designed for all of primary care. This group aims to develop resilience in primary care by support and tackling particular issues with workload. There are a lot of useful and strong voices in this group, whose members are nicknamed ‘pandas’ due to a popular emoji used to challenge workload. This is a closed group that allows all members of primary care after verification. Clinical case discussion is not allowed. It can easily be argued that Tiko’s GP group was the first proper Facebook GP group. Created by Kartik Modha of myhealthspecialist, it was designed as a post GP training support group that has rapidly grown to cover the nation with over 6000 GPs. The group has more of a focus on support and clinical guidance than the other groups. Caution should be used when posting to be in line with social media guidance, but the group has many uses and been a key resource for many. Tea and empathy is a movement that was created to support doctors without judgement. Since then it has spread to many regional groups of support and some by type of clinician. To find the most suitable for you it is best to search ‘Tea and empathy’ in Facebook or check out this open group. Be warned this group is open to the public. 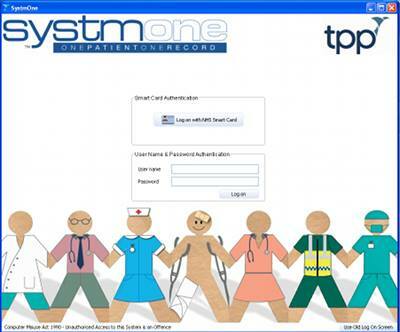 S1 FBUG is designed to unofficially support the users of SystmOne in clinical practice. With over 700 members it is a diverse community which offers quick answers to getting the most out of one of the main clinical systems in the UK. Similar groups do exist for other systems like EMIS and Vision. DOI- Group is owned and moderated by me. Please answer the compulsory questions if applying to join. In addition, a useful adjunct group if you use SystmOne is the Ardens group which supports the users of Ardens templates in SystmOne. The owners are very engaged which helps and respond very rapidly to queries. For the tech-happy GPs and primary care workers. You may want to consider joining one of the various groups that can support your interests. The GP Technology group is a small group of about 200 members who are interested in creating and analysing how technology impacts primary care. (DOI i am an admin of this group). This is in comparison to the larger Doctors Digital collective which is about 1400 members from all aspects of medicine with a similar digital interest or the smaller GP Innovators group. If your interest is more with the clinical use of virtual reality, then joining the VR Doctors group is a must, administered by the VR Doctor himself Keith Grimes. If information is more your interest the Primary Health Care Informatics UK group has lots of useful voices that can help or for more questions about the dreaded GDPR implications in primary care, there is a group for that too. Finally, for social media docs like me, a really supportive group that I have learned a lot from is the Doctors on Social Media group, and for budding podcasters try the Physician Podcasting Network. Both are american orientated but still contain lots of useful tips and contacts. All these groups are closed so apply and answer any questions to be given entry. There is a raft of other groups you may want to consider. The GP Trainers Forum is designed to support GP trainers. This group has a strict no trainee rule and provides useful tips for established and new trainers and sharing of resources. For trainees, the best resource I can recommend is joining Arora Meded. A really useful group with lost of short learning tools and resources to help you pass your exams by Dr Aman Arora. If you are after more of the organisation/ political groups then the Political Mess is one to consider about the wider impact of the NHS. This has taken over from the Junior Doctors group created during the junior doctor movement. I don’t tend to engage much with these now given less of a focus on primary care, but they are sizeable groups with 24k and 54k members at the time of writing. The RCGP does not have an official facebook group but the OpenRCGP was created by its members and can provide a useful sounding board for members. There are many regional RCGP groups so these may be more useful searching for based on your area. Getting the best out of Facebook Groups for GPs. Facebook has a habit of changing its algorithm. At present if you want to get the most from a group you have an interest in follow these simple steps. Apply for groups you have an interest in only. 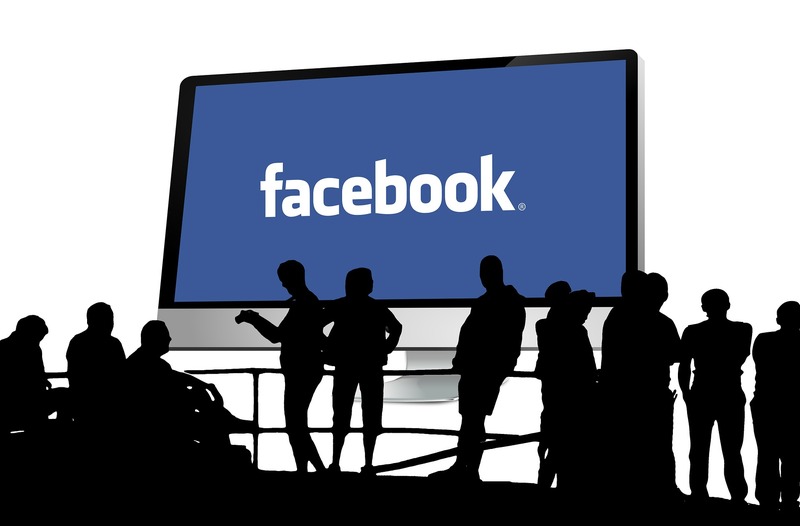 Joining lots of groups may develop information overload and Facebook will prioritise you to groups it thinks you want. If you have a particular question it is always worth searching first to prevent repetition being a frustration by the group. Use the search box as per the red arrow. I hope this post has provided you with some value on the various Facebook groups for GPs. 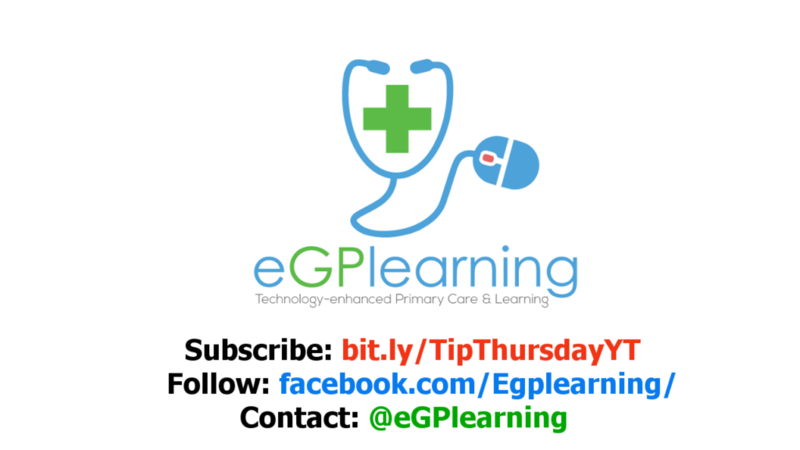 Feel free to contact me for more information either on Facebook or on Twitter as @drgandalf52 or @egplearning and do sign up to the YouTube channel to see more videos and tips in our TipThursday.